The ‘Terminator’ star and Maria separated after 25 years together in May but put on a united front over the festive period for their four children, Katherine, 22, Christina, 20, Patrick, 18 and Christopher, 14. Arnold - who Maria filed for divorce from after it emerged he had fathered a child with a housekeeper – visited their former marital home in Brentwood, California, and they also attended basketball team Los Angeles Lakers’ opening game of the season at the city’s Staples Center. 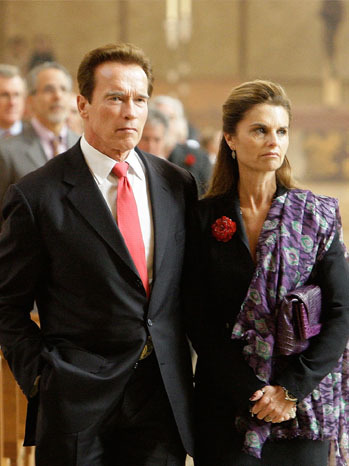 Arnold and Maria have spent a number of occasions together since separating, including his 64th birthday just two months after they parted in May. However, the situation has not been easy for Maria and she has previously admitted she was left “down and confused” about the breakdown of her marriage. “When the world is so complicated, the simple gift of friendship is within all of our hands. Thank you to everyone who came up to me this weekend and wished me well." © Copyright 2019 Irish Studio LLC All rights reserved.